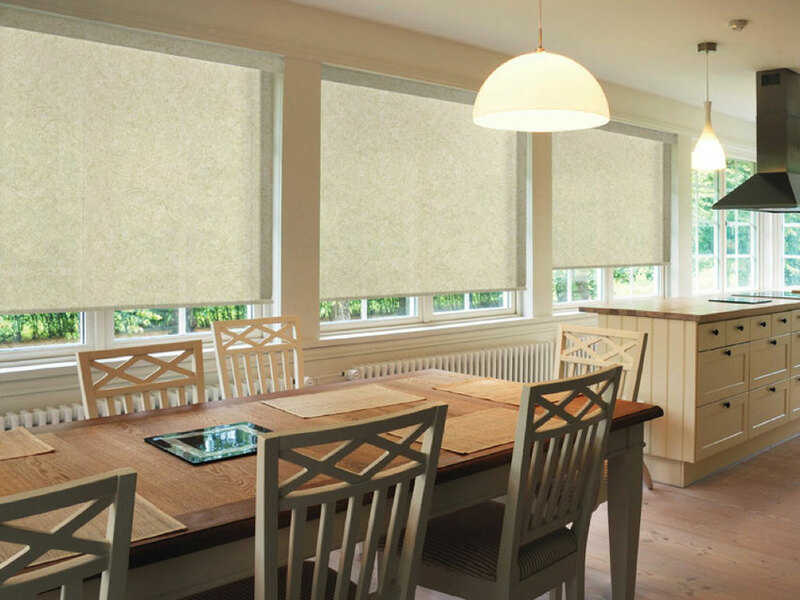 Over the last century, the Roller Shade has developed into one of the most popular window treatments. These shades are extremely easy to use, quite versatile and provide a clean look for either a home or office setting. Having a wide range of fabrics and colours to choose from, roller shades give you the ability to match your home décor and allow your window treatments to “blend” into the background. Functionally, solar shade fabrics are used on roller shades to block harmful UV rays and promote energy efficiency. It is without a doubt a window covering hitting its stride and only going to become more popular as the years go by. The function of a Roller Shade is quite simple and the product name describes it all! Your fabric will be able to roll up and down using a simple chain, clutch mechanism. The movement is quick and easy. 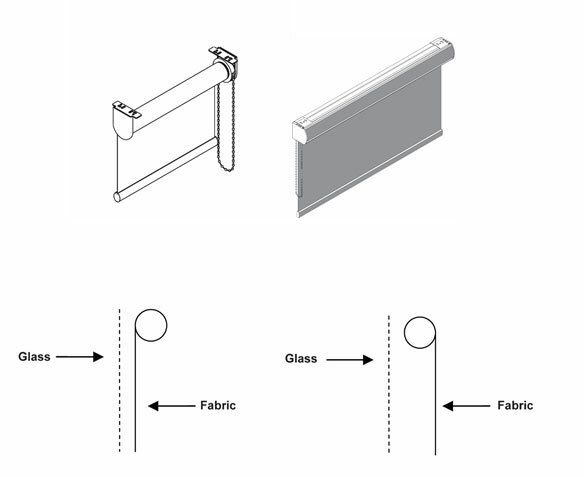 There are numerous options available on your Roller Shades to customize your product. Besides your standard control positions and chain type, you have the option of a standard roll or reverse roll. The main difference here being the depth of your window. With minimal depth your only option is reverse roll, but with adequate depth you will have the choice. What to choose in this situation you ask? Depends on the function of the window treatment, but keep in mind that a standard roll will provide the most light coverage as well as the most insulation for your room. Next, open roll versus a cassette. An open roll shade keeps the roll of fabric at the top exposed, while a cassette will not only cover the fabric, but will also provide a little more stability to the entire shade. However, a cassette is chosen most of the time for its aesthetics, especially with Shade Works where all of the cassesttes come standard with a fabric insert. Once again the name says it all. Designer Roller shades will provide a clean, consistent look to any room in your home. With many fabrics and colours to choose from matching your homes décor has never been easier. Separated into two categories, light filtering and blackout, think about the function of the shade first prior to choosing your fabric and colour. 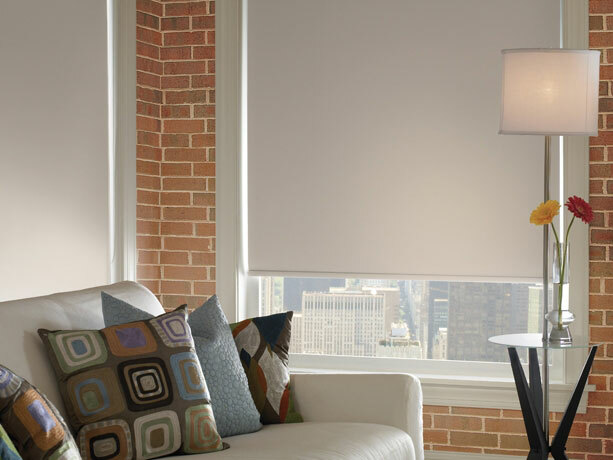 The best way to describe Solar Shades is that they are your “functional” roller shade. The most common question received at Shade Works is what the difference is between light filtering and solar fabrics for roller shades. The simple answer is this. Light filtering shades dress up your window while filtering natural light into your room. Solar shades filter an exact percentage of light into your room, block harmful UV rays, and preserve your view to the outside world. 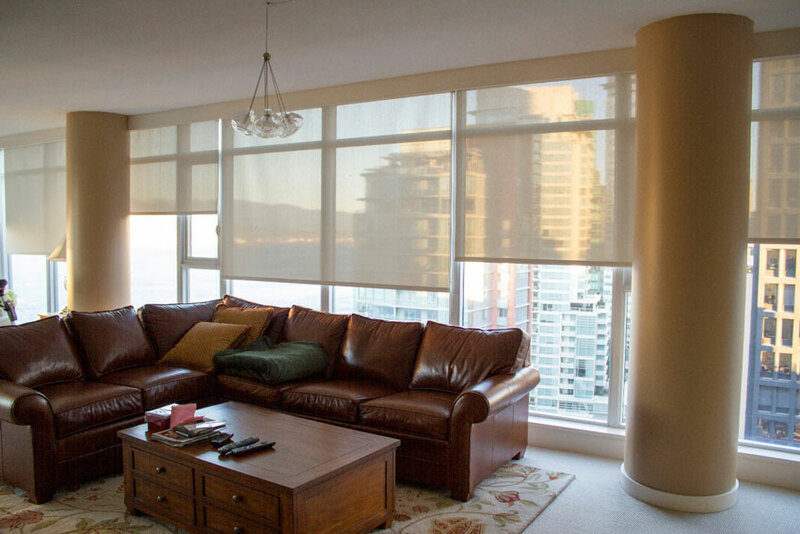 In very hot summers, as well as beautiful floor to ceiling condos, solar shades can be your absolute best friend! As mentioned, with so many fabrics and options to choose from it is important to see and feel all of the fabrics before making your decision. Head over to our sample department to order your Free Samples today to get started. Have questions about how to customize your window coverings for your home? No problem, Shade Works is here to help. Call us today at 1-888-870-2130 or email us directly at help@shadeworks.ca. Happy Shopping! ← Where To Buy Window Coverings: Online Vs. In-store?